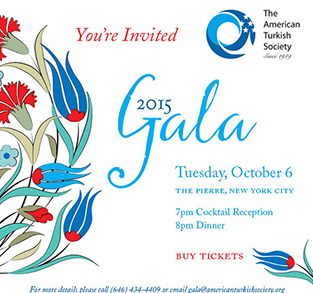 The American Turkish Society's annual Gala is fast approaching! This year’s event, honoring Hüsnü Özyeğin and Hamdi Ulukaya, will take place at The Pierre in New York City on Tuesday, October 6, 2015. Please see our Save the Date and make a note in your calendars.